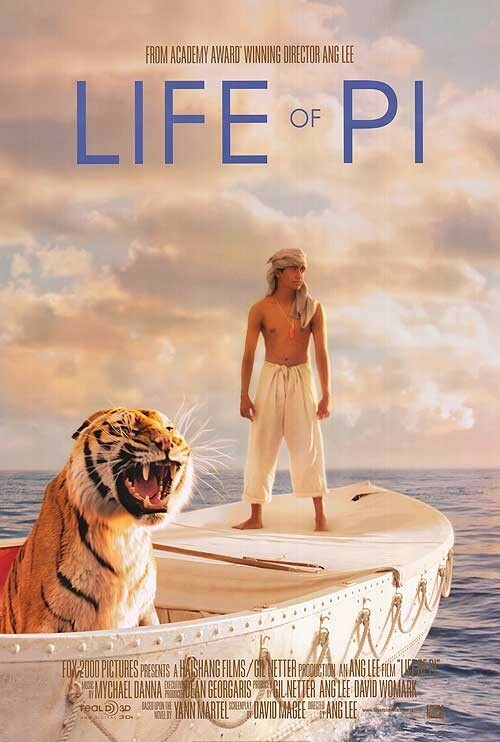 Elements of surrealism, breathtaking visuals of a young boy with a fierce tiger on a boat together with some twists and turns make up the superb film, “Life of Pi”. This film is based on namesake Man Booker Prize, the fiction novel by Yann Martel. No matter whether you have already the story or not, watching this 3D movie is a real lifetime experience that comes to you once in a lifetime. Hearing the narration of the youth retelling the tale of his survival after a destructive shipwreck is very aspiring. “You don’t know the strength of your faith until it’s tested” – this is one of the dialogues of Irfan Khan, which forms the plot of the entire movie beginning from Pi’s struggle with the ravenous tiger up to the end of the adventure thrilled voyage. Watch the movie and some of the scenes will definitely tell you that it was the test of Pi’s faith in all sense. The phase when Pi deals with the brutal tiger and trains him or the phase when Pi is forced to gobble raw meat despite being one strict vegetarian truly portrays Pi’s test of faith. ‘Life of Pi’ similar to ‘Gulliver’s Travels’ – is it so? In many respects a comparison is made between the two. But how can they be compared? Pi and Gulliver both embarked on sea voyage and both ends up discovering some important fact after the sea voyage. If you want to talk about the performance of Suraj Sharma, it can be described in a single word – ‘speechless’. Remarkable artfulness is being shown in the role he played. Irrfan Khan, on the other hand, crafts himself well and prominently plays the narrator’s role. Well, the end is not so impressive and that is where it lays back. After so much dramatic twists and captivating surprises, it is quite naturally expected that the ending will be an astounding one. But the end was disappointing – it was too sober for the story. It seems that the makers were short of their creative skills at the end. Watch and decide yourself the lesson that comes out of this movie –‘Life of Pi’.